I remember when I was a Jesuit novice in the late 70s, that we would drive around Sydney in an orange VW Kombi van. 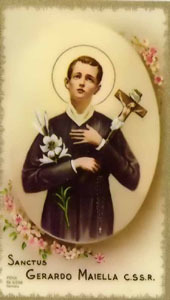 When we needed a car parking space, two of the seven in my year believed we would find one if we said a prayer to St Gerard Majella. Two - including myself - thought that was rubbish, while the other three were somewhere in between. We would always get a park in the end, and it remained a moot point whether we had St Gerard to thank. I was never convinced. I'm less hard line in my skepticism these days, though I believe that intercessory prayer works if it is not seen as a 'get out of jail free' card but more akin to the power of positive thought and initiative. We don't expect St Gerard to do the heavy lifting for us. He's there more to encourage us. Oprah Winfrey said: 'The greatest discovery of all time is that a person can change his future by merely changing his attitude.' She would have been referring to major life goals and not trivial matters like car parking. But, according to her doctrine, if we believe we can find a park, and look in the right places, we will. The key is that it will be a result of our own actions. My previous rejection of intercessory prayer was probably more in line with the reformed Protestant Calvinist doctrine of predestination, which rejects intercessory prayer out of hand. I've always found it hard to understand how predestination is any different to fatalism, which is defeatist and undermining of human possibility. It's like the Filipino bahala na 'leave it up to God' laid-back attitude that could be responsible for that country's perennially poor economic performance. This is in contrast to that of the US, where it was the father of free enterprise Benjamin Franklin who said 'God helps those who help themselves'. The paradox is that this self-seeking attitude contradicts the selflessness that is at the heart of the message of the Christian Gospel. My thoughts about intercessory prayer were prompted by a friend from many years ago who wrote to me on Saturday about the tough time she's had in recent years. Sadly her Catholic faith has not delivered at her time of need. She said: 'I have stopped praying as not one prayer has been answered'. Yesterday I wrote about breath awareness. Its purpose was to overcome the 'disturbing turmoil' of mind chatter during meditation. Later in the day I was reminded of my early attempts at meditation as an 18 year old Jesuit novice at Canisius College, Pymble, in Sydney, in the late 70s. 'Disturbing turmoil' is also apt to describe my experience when I told the novice master - my spiritual director - that my attempts to meditate were not working. I said that I just couldn't quieten my mind and that I would sit there and fidget. He yelled at me and threatened to expel me from the Jesuit training I'd begun a few months earlier. 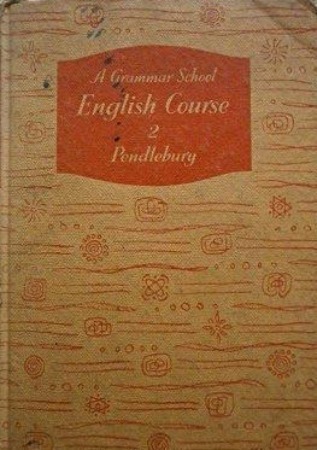 In those days it was common to use fear as a technique in teaching and training in schools and various institutions, including those in which religious 'formation' took place. This novice master had been rector of the diocesan seminary at Werribee outside Melbourne for many years, where he was responsible for the training of several generations of priests for the dioceses of Victoria and Tasmania during the Catholic Church's vocations boom of the 50s and 60s. He had a reputation for being quite a tyrant but was supposed to have undergone a transformation after moving on from his role at the seminary in the late 60s. It was the time of the 'flower power' generation and he grew his hair long and embraced a peace loving ethos as a fiftysomething university chaplain. He also took on with gusto the spirit of Vatican II renewal and it seemed to make sense to put him in charge of training Jesuits in their first two years of formation. But a leopard does not change its spots, and he turned out to be quite a fearsome novice master, even though the content of his teaching was solid and nuanced and he was interested in, and taught, the latest thinking in psychology, and meditation techniques from eastern religions. There was a certain incongruity in having such an authoritarian figure teaching Zen Buddhist and other eastern meditation techniques, which had been made popular at the time by the Jesuits William Johnston and Tony D'Mello. My response to his yelling at me for not being able to meditate was to retreat from my honesty. I used my imagination to construct elaborate but believable scenarios in which I falsely claimed to have had breakthroughs in my attempts at meditation. At times he seemed most impressed with the progress he believed I was making. In hindsight, I think it was a tribute to my creativity, and I look back on it with an odd mixture of pride and shame. I was actually very interested in spirituality at an intellectual level and would do a lot of reading and pay close attention to what he would teach my group of novices. That is why it was easy for me to construct the scenarios and to tell him what he wanted to hear. I'd learned that it was not acceptable for me to tell him what he did not want to hear, and it seemed that the truth or otherwise of what I was saying was secondary. I survived my two years of formation in the novitiate and was approved to 'take vows' and go on to the next stage. But needless to say, the actual daily meditation that is essential to the way of life I was embarking upon did not become a part of my life. Sadly I suspect that my experience was quite common and that it accounts for many Catholic priests and religious either abandoning their vocation or remaining but not living their vocation. Perhaps the most challenging experience of my day is walking past the Aboriginal people who are always begging for money outside the IGA supermarket in King Street Newtown. I've been walking past that supermarket most days for the past 23 years, and they've been there for as long as I can remember. They present as very needy but I have never ever given them money. Sometimes I feel guilty and at other times I resent them for exploiting the guilt of passers by. I speculate that they're probably doing quite well out of it. I reason that they're getting their own back on white Australians, as collectively responsible for their continuing displacement. In a small but enterprising way, they're managing to turn our guilt to to their advantage. Good on them, kind of. But my money goes to a small organisation called Life for Koori Kids (LFKK), in the form of a modest but regular monthly donation. It does makes me feel good, but more importantly it helps an organisation that has a defined purpose, which is to help ensure indigenous children go to school and get the education they need to build more prosperous and fulfilling lives for themselves. LFKK buys provisions such as shoes, uniforms and books to help convince indigenous families that there are no excuses for not sending their kids to school. There is also help for placing indigenous young people in universities and TAFE, and for those entering the workforce. Ailsa Gillett founded LFKK in 2001. Her vision is that 'education is a key priority in bringing confidence and pride of heritage to young people's lives'. Ailsa knows well the importance of confidence, also to the lives of non-indigenous young adults. In the 80s I was a young Jesuit assigned to teach secondary school students at St Aloysius College in Milson's Point, without any teacher training or aptitude for the job. Unsurprisingly the experience knocked out most of my self confidence. Ailsa, who was there as the headmaster's secretary, did a great deal to encourage me to think that my life had a value and meaning beyond the chaos of my inability to control unruly teenagers. This year I received my best Christmas present in a long time. 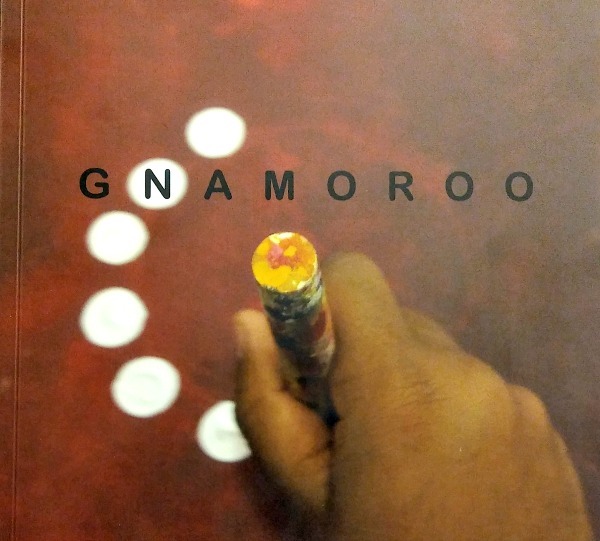 Ailsa sent me a copy of Gnamoroo, a professionally produced and beautiful coffee table book LFKK volunteers have just released. The volunteers include Mitchell Library Indigenous Services Librarian Melissa Jackson, who chose the title because it means 'compass'. She explains how the title encapsulates LFKK's purpose: 'Gnamoroo [pronounced with a silent 'g'] is broken up into "gna" meaning "to see" and "mo-roo" meaning "a path"'. 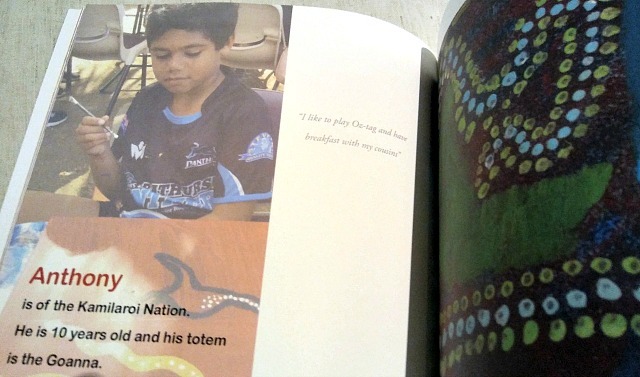 The book, which was produced for LFKK's families and supporters, has a simple but mesmerising format that depicts its young people by name, photograph, nation, age, totem, quotation and artwork. It has been artfully presented in a way that is carefully thought out to reflect LFKK's people-centred ethos that focuses on the kids' talents. Maybe Ailsa can enlist King Street's enterprising beggars to raise funds for LFKK.